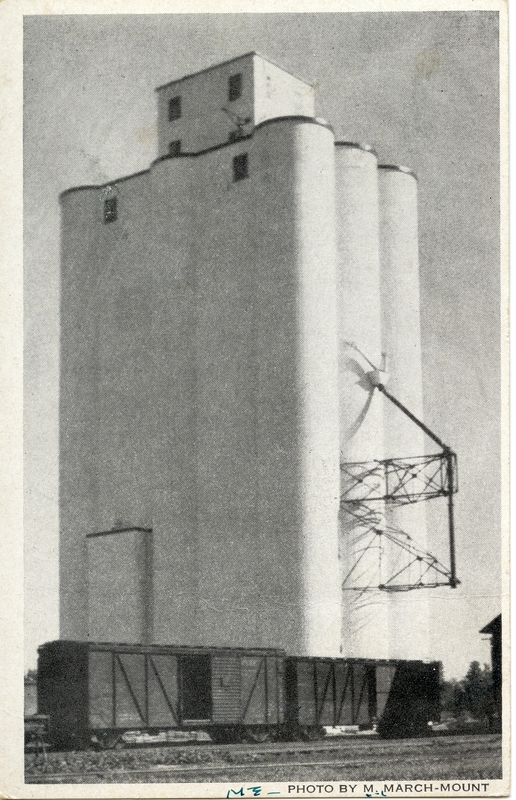 Postcard of early concrete elevator in St. Francis, Kan.
Grandpa was pretty good at naming his elevators when he talked to the press. While building the McCook, Neb., elevator, William Osborn spoke about a number of his previous projects that were built while he worked for J.H. Tillotson, Contractor. 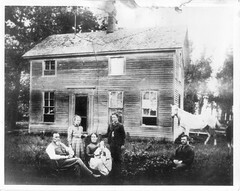 He named six elevators he built in Maywood, Wauneta, Daykin, Fairbury, and Lodgepole, Neb., and Traer, Kan.
McCook’s elevator, then under construction, was much larger than the rest, but he named one other elevator in the area that was of similar size, that one in St. Francis, Kan. He said he built that one, too. The newspaper clipping and my dad’s recollections were all we had to go on when our family made the first trip to western Nebraska and Kansas to see grandpa’s elevators. All of the elevators–save one–were easy to find (even Maywood, whose present incarnation is a rubble pile not far from the surviving elevators). When we visited St. Francis, we stopped at one likely elevator complex, where my hopes were dashed when I saw the “Jarvis” name on the manhole covers. The other complex in town seemed far too big and looked very much like every other Chalmers and Borton project I had ever seen. Besides, it was getting dark and we had to put more miles behind us, since this elevator nonsense was just one of “Mom’s diversions” from the primary mission of going kayaking on the Niobrara River. So our first opportunity passed without finding grandpa’s elevator. 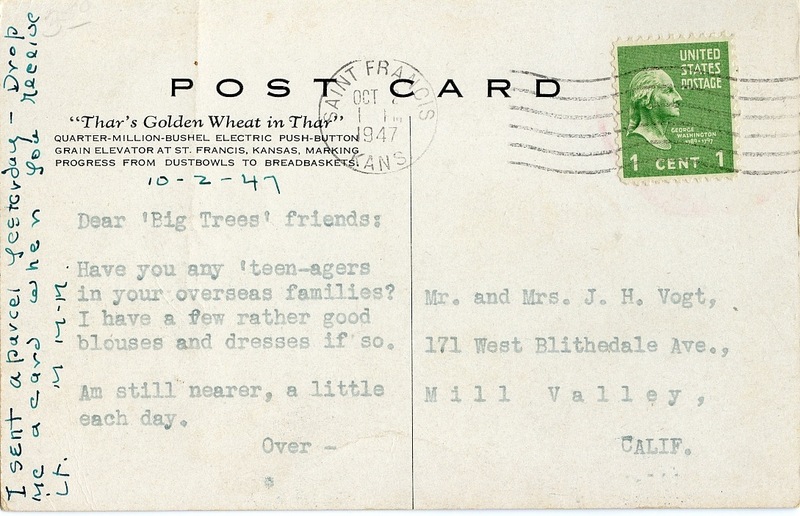 I scoured eBay for a while looking for images of Grandpa’s elevators, and I even bought an early postcard from St. Francis, and regarded it doubtfully when it arrived. What was it doing with a rectangular headhouse, if it was grandpa’s elevator? It was set aside on a growing pile of assorted elevator images. The answer would have to wait for another visit and a close-up look at the elevator I had tossed off as a probable Chalmers and Borton edifice. The second visit would reveal some surprises and challenge what I thought I knew about Grandpa’s elevators. This entry was posted in J.H. Tillotson, Contractor, William Osborn and tagged architecture, Business, construction, grain elevator, J.H. Tillotson Contractor, McCook Nebraska, slip-formed concrete, St. Francis Kansas, William Osborn. OK – Can’t wait to find out what you learned!